The Gelfand STEM Center coordinates the Elementary Science Olympiad for Division A (grades 4-6). 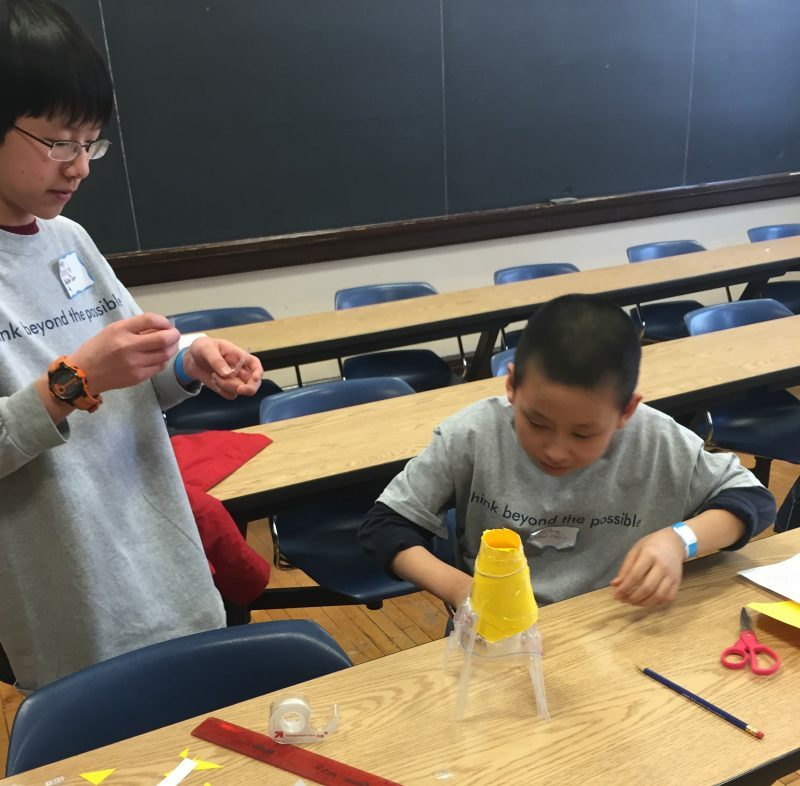 Modeled after the national Science Olympiad competition, students from area elementary schools compete in science and engineering events captained by teachers, CWRU faculty, staff, students, and alumni. Team rosters and participation: Each team can have a maximum of 25 students, with no more than 12 sixth graders per team. The remaining students may be either fourth or fifth graders. There are no alternates allowed. While individual students will be allowed to represent their school and compete in most events Write It Do It and Starry, Starry Night require full teams in order to participate. Coordinating individual events: As a condition of participation, each team is required to captain/sponsor one event. A building sending two teams to the competition will be responsible for captaining/sponsoring two events. This includes setting up equipment and judging for the duration of the event. During registration, teams will select three possible events they could run and events will be assigned on a first come, first served basis. 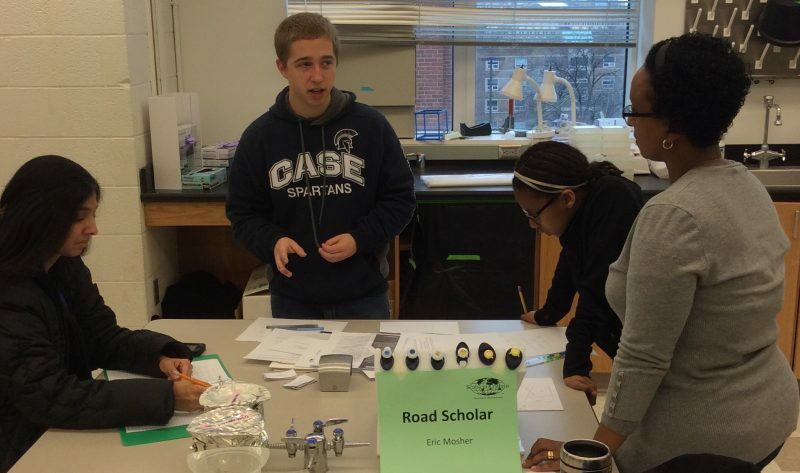 CWRU will provide undergraduate student volunteers on the day of the competition to assist with running each event. Event descriptions: In an ongoing attempt to address concerns and integrate suggestions for the continued success and smooth running of the Olympiad, please read ALL event descriptions very carefully. Changes may have been made from year to year in the rules or scheduling of an event. Event captains/sponsors, judges, and volunteers will be responsible for monitoring and enforcing the event descriptions and guidelines as described in this handout including required safety gear. Resources allowed during competition: Some events permit students to use additional resources such as field guides or reference sheets. Just prior to the start of each event, captains/sponsors, judges, and volunteers will verify each team is in compliance with the specific rules and guidelines regarding resources for their event. Scheduling: We will use a scheduling system similar to those used at regional, state, and national competitions. Some events are scheduled for a fifty  minute block and all teams compete simultaneously during this block. Please be prompt, as judges have the right to refuse entrance to late teams. Teams that arrive on time should not be penalized by having to wait for late arrivals from other teams. Other events (walk-in) are scheduled throughout the day and teams are assigned specific hour-long blocks to compete. In very rare instances where times must be rescheduled due to equipment breakdown, loss of electricity, and other unforeseen events, adjustments will be made by the captains/sponsors, judges and/or Olympiad coordinator to ensure fairness among the teams. Final Note: This event is limited to 24 schools and there is a $65 participation fee for each team. Contact Kathy Kwiatkowski for more information (kmk21@case.edu; (216) 368-5075).